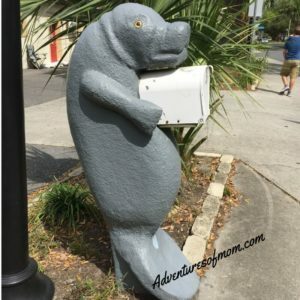 Crystal River, a sleepy fishing town on Florida’s Nature Coast, known as the winter haven for the West Indian Manatee floods with visitors during the November thru March months, with everyone vying for a spot to see a manatee. Come late summer, the scallopers roll into town to try their luck out in the Gulf, harvesting scallops. 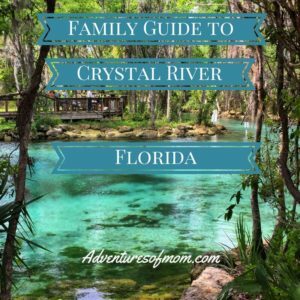 But year round, the laid-back flip-flop lifestyle is what makes Crystal River most memorable to visitors. Dine on a deck overlooking King’s Bay, take a sunset cruise on Crystal River or don a snorkel and mask and swim with the manatees. Unrushed, unhurried. 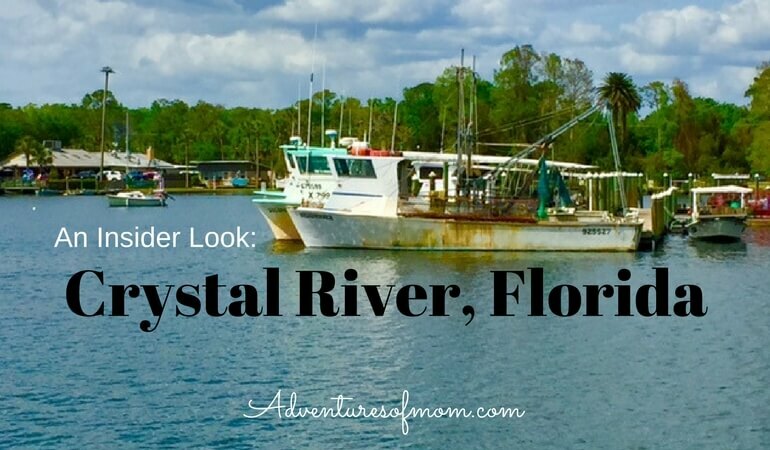 Crystal River faced the wrath and flooding caused by Hurricane Hermine, but the waters subsided and it survived- bouncing back in their easy-going style. They recently received a much-needed facelift. Vivid blue signs mark the parks; the favorite local swimming hole, Hunter Springs has a brand new look, with more restoration on the way; even the historical downtown looks clean and shiny. That’s what life is all about in Crystal River. They recently received a much-needed facelift. Vivid blue signs mark the parks; the favorite local swimming hole, Hunter Springs has a brand new look, with more restoration on the way; even the historical downtown looks clean and shiny. We’ve been visiting this town for years, -ever changing yet still the same. Here’s a definitive guide to Crystal River: what to do, places to eat and where to stay. Let the kids run wild at the Creative Playground in Little Springs Park behind City Hall. My own kids have spent hours on this wooden playground. Spring hunting? Walk the bridge over Little Spring. There’s a fountain in the middle of the pond and personally, I couldn’t actually see the spring- but it’s in there somewhere- the spring hidden in the heart of old Crystal River! Most of the parking around the area is marked for the Manatee Refuge Tour. The Trolley to the Crystal River National Wildlife Refuge is slated to shut down for the summer, due to slow-to-no manatee sightings in the summer, but if it’s still up and running, you pay a flat fee ($15 per adult, $ kids), get a wristband and use their trolley to hop on and off all day. While the city is small, saving the parking fees for Hunter Springs & King’s Landing Park is a bonus! If the trolley does shut down, you can still reach the Wildlife Refuge on foot. Found one! You find manatees on land and in the water in Crystal River. I came to this refuge alone not too long ago, in search of a little refuge myself. Beautiful boardwalks stretch out over the Three Sisters Spring System in the Crystal River National Wildlife Refuge. Florida’s West Indian Manatees flock to these three springs as if it were a beach hotel during spring break. There have been up to 300 manatees in this area waiting to check in. They prefer the warmer 73F temperatures of the springs to the cold gulf waters in the winter. But when the temperatures rise, they head back out to the Gulf of Mexico. The best times to see the manatees are from November to March. You can book a snorkel tour with a local operator, or come to the Refuge and view them from dry land. The Wildlife Refuge also has two nature trails, picnic tables (1 by the boardwalk, others under the pavilion by the lake) & porta-potty toilets. Relax at the newly renovated Hunter Springs Park. White sandy beaches, a children’s playground, kayak launch and toilet facilities. The parking is by an automated meter where you have to use a credit card and have your tag number handy. Don’t mind a stroll? There’s free parking near the turn off to the springs. Also look for the other free parking signs in downtown. Hunter Springs is the closest launch point to the Three Sisters Springs. The newly restored and renovated Hunter Springs swimming hole. While you can’t swim at this city park, you can fish from the dock, meet your snorkel with manatee group or launch your kayak. Parking is a flat $5 fee for all day. There’s also a children’s playground, toilet facilities and a nice view of Pete’s Pier and King’s Bay. Fees: $3 per vehicle- honor box system, so bring cash! 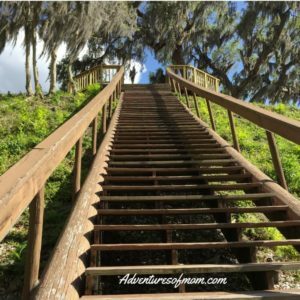 Head out of town to check out the highest view of Crystal River and walk back through time at the Crystal River Archeological State Park. Concrete paths take you past ancient shell mounds built by Native American Indians nearly 10,000 years ago. I asked the park ranger which tribe, thinking he would say Timucan or Calusa, and he told me that it was even before those. They don’t even have a name for them! They discourage you from climbing the mounds, but you can take the wooden steps to the top of the Chieftain’s mound for a ceremonial view of the marshlands and beautiful Crystal River. The small museum has toilets, artifacts displays and a short movie about the history of the mounds. The museum is closed Tuesday and Wednesday, but the toilets are located externally on the building. After stretching your mind, stretch your legs at the 30,000 acre Preserve next door. The Crystal River Preserve stretches out to the gulf, encompassing marshes, islets and more. Hike or bike one of their trails, or cast a pole out at the Mullet Hole. You can also launch a kayak from there as well. This park is free, so bring a picnic and make it a relaxing afternoon. Itching to explore the river? If you haven’t brought a boat of your own you may want to hop aboard one of the park’s Heritage Eco-Tours. The boat leaves from the marina at the end of the park. Adults are $1; Kids 6-12 $10; 5 and under free. Cash only. Need a bigger beach? If you don’t mind the long and winding drive, pack a picnic and take the drive out to Fort Island Beach, passing some fantastic salt marshes along the way. Fort Island Beach fee-free free park with a boat ramp, sandy beach with toilet facilities, and a fishing pier- but there is literally nothing else out there! I came here as a kid with friends, braved the winter chills here- awesome winter sunsets! And my daughter had half her leg swallowed up by muck here once. I rescued her and her leg, but the marsh swallowed her shoe whole- lesson learned- don’t try and wander into the marsh- it’s not solid ground! Tips: This can be a very busy beach on weekends and holidays! Come early or during the week. Also, there’s a nice boardwalk trail from the right side of the beach to the fishing dock. A lot of people come to Crystal River just to swim with the manatees. You can join a local tour group, like River Ventures, don a wetsuit, snorkel, and mask and they will take you on the river to the entrance to the Three Sisters Springs. The manatees crowd the springs from November to May, and it is at the discretion of the warden of the Three Sisters Springs (Crystal River National Wildlife Refuge) to close the springs to swimmers at any time. Your tour guide will let you know the rules and regulations concerning manatees (and there are many!) and lead the way. Do you Groupon? The local Swim-with-Manatee tour companies often offer major discounts via Groupon- so keep an eye out for them prior to your trip. Want to have a DIY boating adventure? Shell Island is a cool place to go- it’s at the mouth of Crystal River. The island is may look like it has sandy beaches, but they are all oyster shells- so if you plan on exploring, bring some shoes or your feet will get cut up! Exploring the freshwater springs around Kings Bay is another good way to spend the day. There is a large spring located around Banana Island & Parker Island. 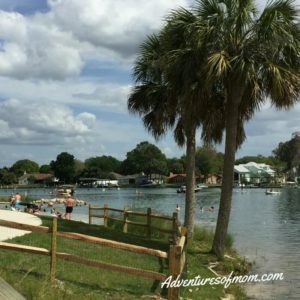 Be cautious of manatees & swimmers! The majority of Kings Bay area and the springs are idle zones or low-speed zones. Heed the speed signs. There are plenty of Coast Guard patrols who love to hand out tickets! Watch the tides! People have been known to get beached during low tide and have to wait until high tide to be able to leave! Not too bad if you have grub and friends to hand with, but not so great if your time is limited. Need a quick escape? Right across from the Crystal River Mall (they have a Movie Theatre!) is a little known hiking trail: Churchhouse Hammock Trail. it’s a mile hike to a boardwalk over the salt marshes. Can get buggy in the warm months and muddy in the rainy season. Cooked breakfasts & sandwich lunches. Nice wrap-around porches too. Like tea? This Tea House carries everything from medicinal teas, Matcha, Green Teas and some unusual fruity and herbal mixes. Gojiberry Green anyone? They also serve sandwiches, soups & smoothies. Being Crystal River, many of the locals work in the seafood industry and bring back their daily catches to the local seafood markets. Don’t have a kitchen in your place? You’re in luck, as several of these markets also have restaurants attached. But there’s a thing to remember about fresh fish when it runs out- it runs out. Come early! Dress casual- Flip-flop Florida-style. Fried fish with a view of King’s Bay. This is the most up market of these fish market restaurants, and it’s still casual. My husband likes the fried mullet with cheese grits here. Casual- and tucked away near King’s Bay Park on King’s Bay. Head out towards Fort Island Beach, it will be on the right. Hours: Monday thru Friday 11 am to 4 pm. Look for the palmetto roof! Hours: 7 days a week. Weekdays 11 am to 10 pm, Weekends 11 am to midnight. So what are you waiting for? Start planning that escape! *What are your favorite things to do in Crystal River? Leave a comment in the box below & let us know! Thanks! Previous Post: « What Kind of Adventurer Are You? Wow I totally want to swim with Manatees!! That sounds amazing. I went to DIsney World once but I’d love to go back and see way more of Florida. Visit the Nature Coast on your next trip! Best time to see manatees in Crystal River is from November to the end of March! I would love to swim with manatees! You’ve included so much helpful info – this sounds like an awesome place to visit. I’ve saved for later! Thanks, Meghan! It is a cool place! I’ve never been to that region of Florida before! I’ve visited the Keys, Sanibel Island and Fort Lauderdale but never Crystal River. Florida has so many great places to see! Great guide!